Mozambique was Monday bracing for a tropical cyclone as a depression builds up in the Indian Ocean, a senior official has warned. National Institute of Disaster Management (INGC) director Augusta Maita said a tropical depression in the Mozambique Channel has triggered torrential rains and strong winds in the country’s central and northern regions and warned that the tropical cyclone could make landfall late on Monday or Tuesday. Maita told private television station STv on Monday that the INGC has ordered the immediate evacuation of people living in risky areas. “This is because we received an indication from the country’s national water resources management authorities that the weather and flooding situation is going to worsen in some rivers, particularly the mighty Zambezi River,” she said. The official said the INGC was working closely with security forces to forcibly evacuate families that are refusing to move from affected areas. 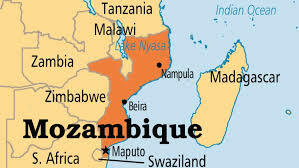 The bad weather, which started worsening on Saturday in Tete, Zambezia and Niassa provinces, has so far killed more than 10 people at the weekend in the Tete region. The worst flooding in Mozambique’s history occurred in 2000 when at least 700 people died and half a million others were displaced.